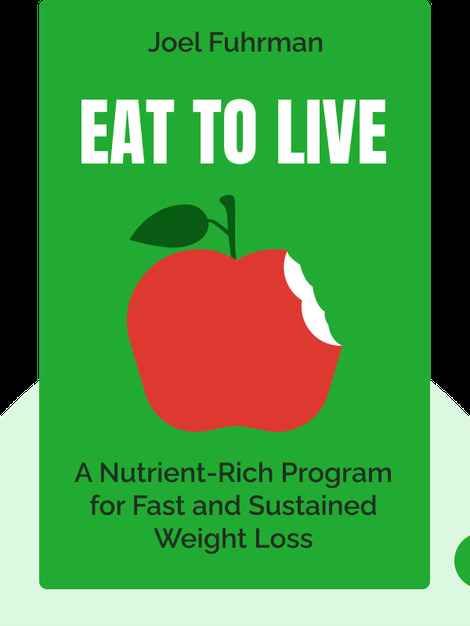 Eat to Live gives readers a comprehensive overview of human nutrition, a re-evaluation of conventional nutritional wisdom, personal case studies and a practical dietary program with lots of recommendations. The reader can expect to learn about a number of different nutritional studies as well as the health benefits and repercussions of basic foods such as meat, milk, fish, vegetables and fruits. 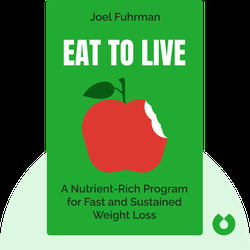 Joel Fuhrman, M.D., is an American family physician and nutritional researcher. Fuhrman specializes in using the wisdom of nutrition and nature to prevent serious diseases. He has collected substantial scientific material and many case studies proving the effectiveness of his recommendations. Other books he has published include Eat for Health and Disease-Proof Your Child.